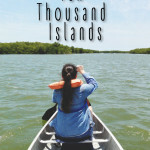 Published: 04/3/15 12:52 PM in Grand Trees, National, North America, Travel. 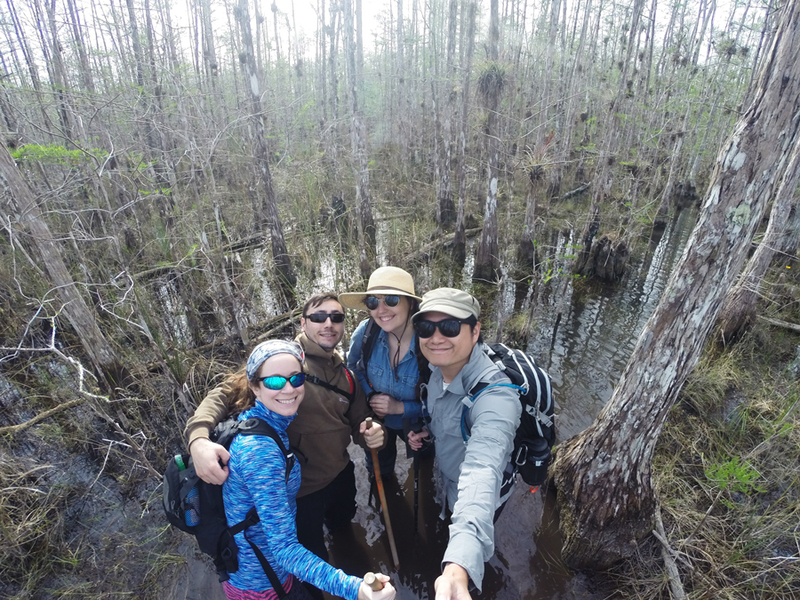 Before the heat of the Florida summer kicked in and it was still considered ‘winter’, a group of us decided to take on the ‘Hike to the Big Trees’ in Big Cypress National Park. 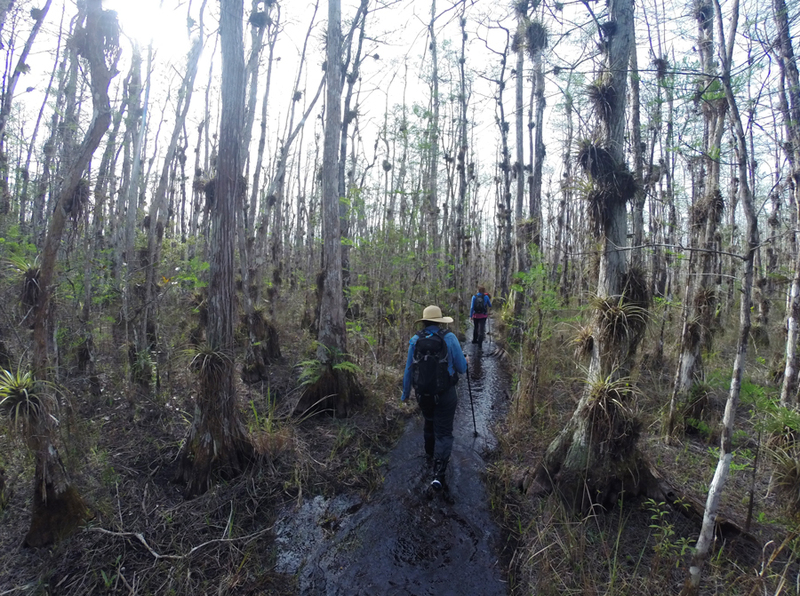 Although most people take on this hike as part of the ranger-led activities at Big Cypress, we decided to complete the trek through the cypress swamp on our own. 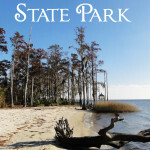 The Hike to the Big Trees is an 8-mile trail through the cypress swamp stopping at a midpoint inside an old growth cypress dome. 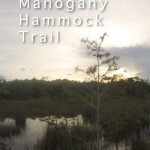 Although this midpoint is part of a hardwood hammock with a higher elevation, the entire trail requires hikers to trudge their way through the mud, muck, water, and limestone that makes up the surface of The Everglades. 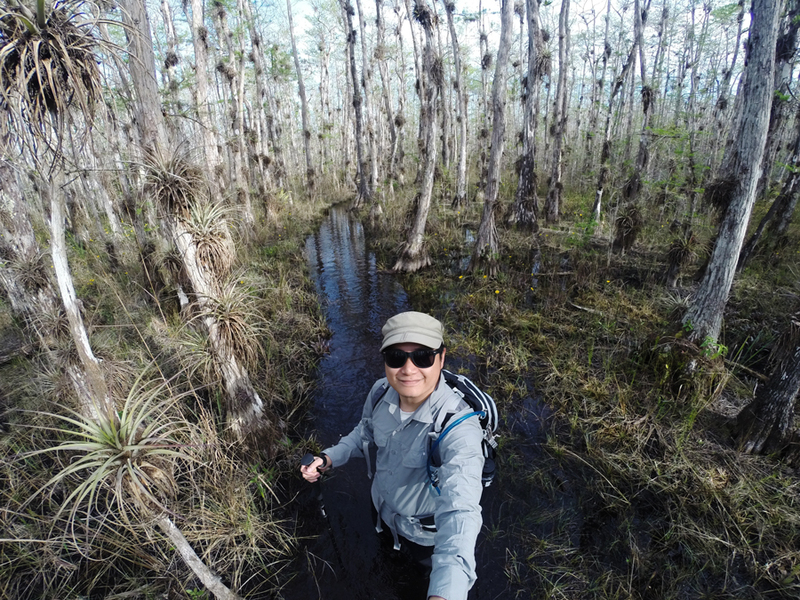 Depending on the season and how wet the wet season was, the water level varies from ankle deep to thigh deep throughout the hike. 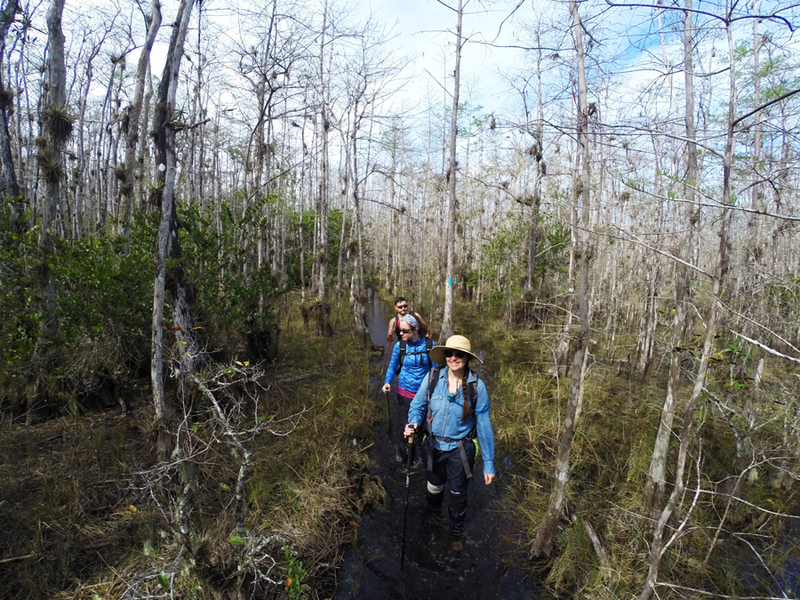 Although 8-miles may not seem like a formidable distance, the fact that you are hiking through water can make this trail much more strenuous. Since one step through water is equal to the energy used for about three steps on dry land, the distance can quickly feel like more. 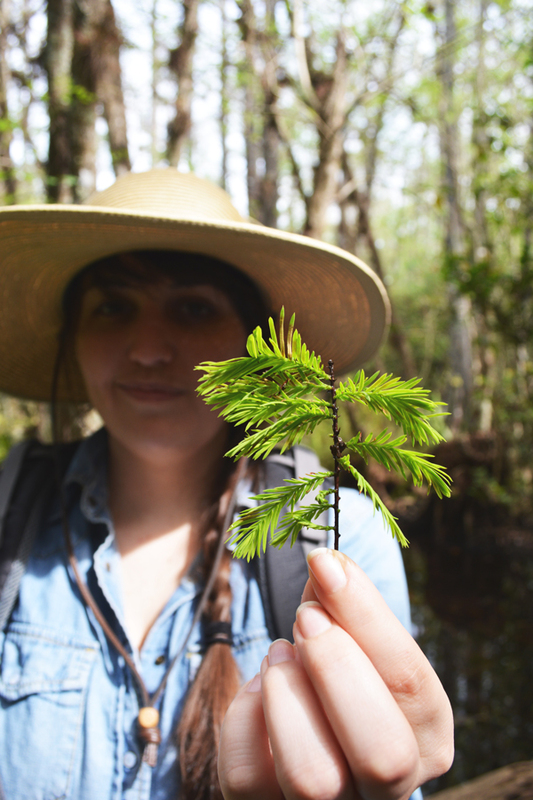 We made our hike to the old growth cypress trees with a small, but efficient group with varying hiking experience. The group included Kevin (a hearty and efficient hiker), Megan (a very experienced and tireless hiker), Dan (a strong and speedy hiker), and myself (an enthusiastic participant with bad knees). Fun Fact: Megan thru-hiked the Appalachian Trail! 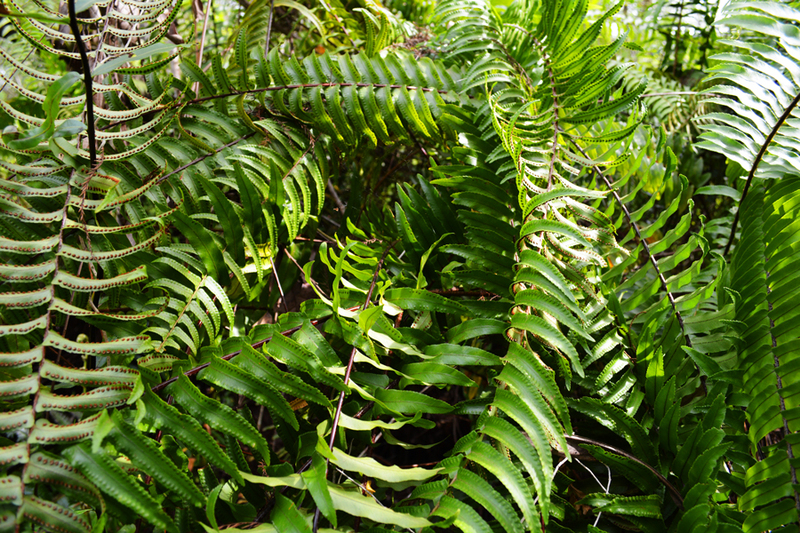 Read about her experience on the blog she kept during the experience: Ridgelines. 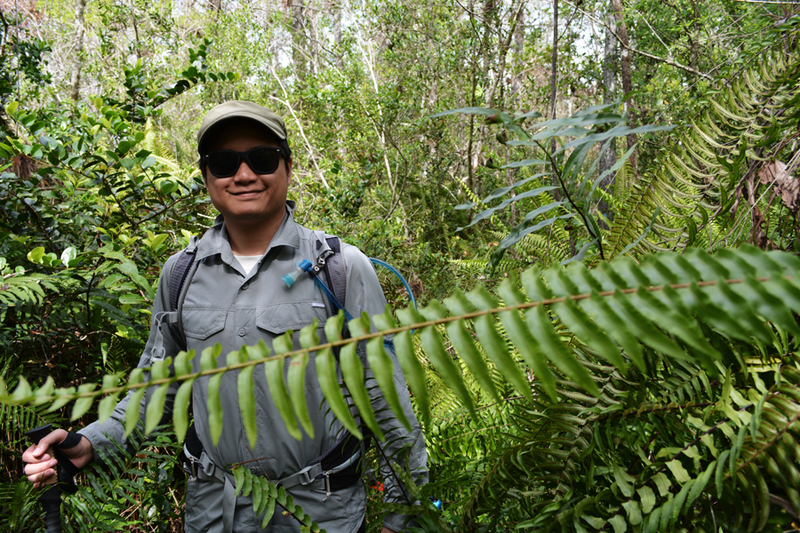 The small group resulted in a more secluded hike that felt more connected to the swamp around us. It also allowed us to hike at a faster pace along the watery trail. 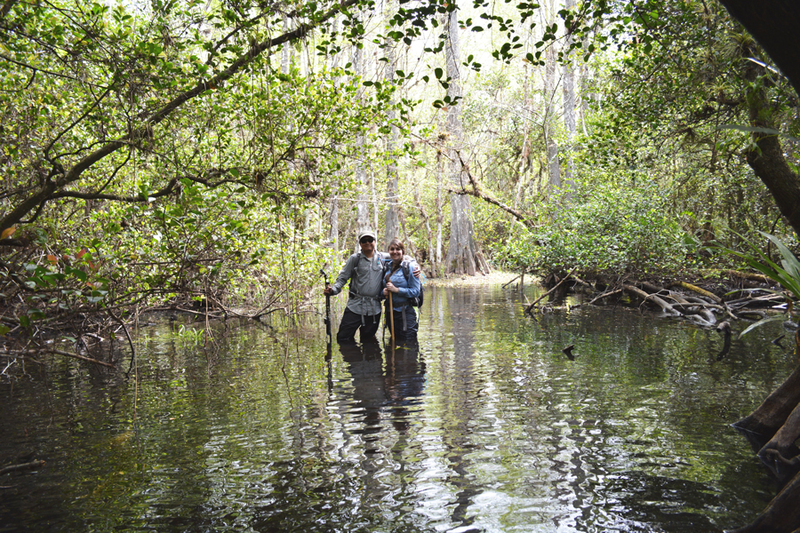 However if you don’t feel comfortable hiking in the swamp, the ranger led tour is a great way to dive in and experience the beauty of the The Everglades National Park and Big Cypress National Park. 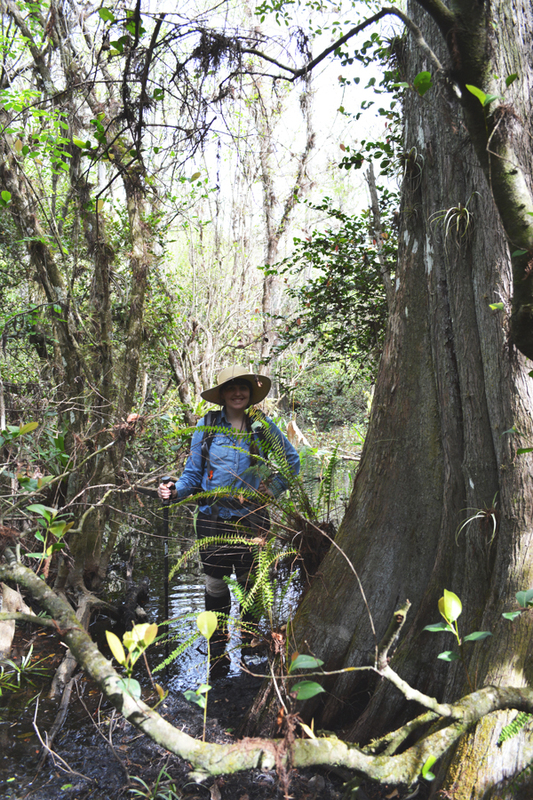 Besides the obvious benefits of a well spent day outdoors and the accomplishment that comes with adventure, the primary reason for our foray into the swamp was to see and touch the untouched giants within the watery labyrinth. 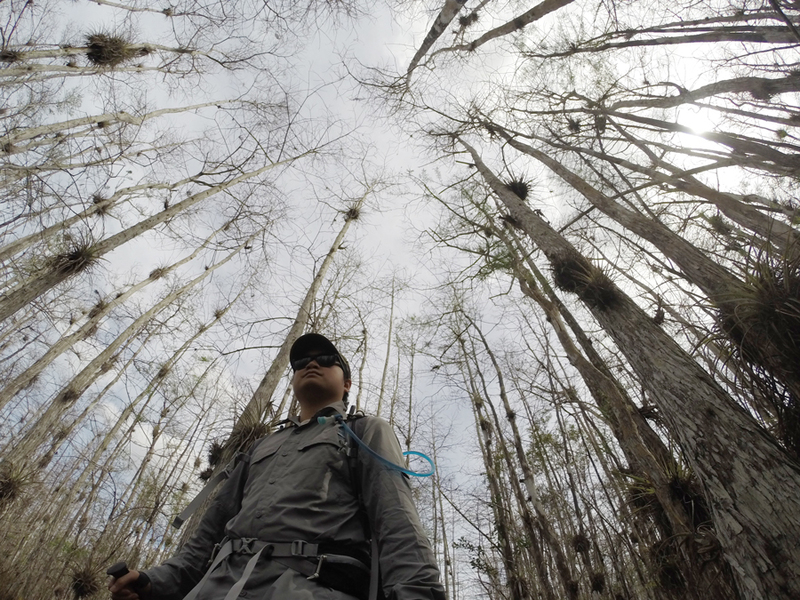 At the heart of Big Cypress National Preserve, the areas namesake stands unforgivingly tall creating a webbed canopy above. 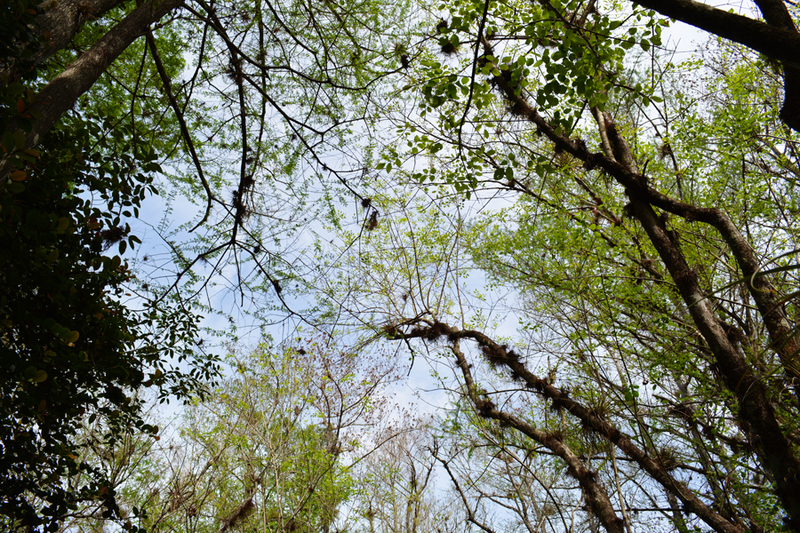 From the outside at a macro observation, this canopy aptly forms into the closest thing the swamp has to mountains; cypress domes. 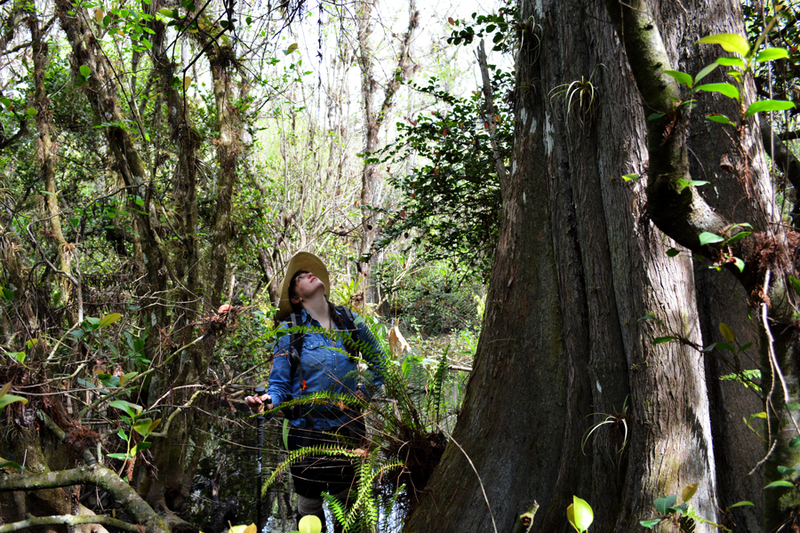 Only a 4 mile hike into the swamp will allow you a peek inside the unique environment of an old growth cypress dome. 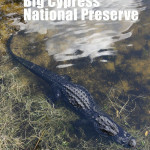 These beautiful residents have escaped the axes of earlier loggers and have been left to grow tall and wide. 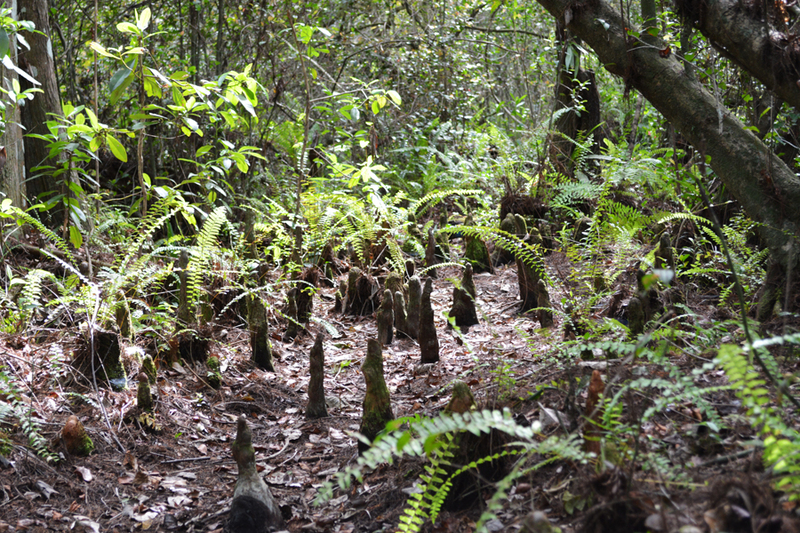 Being a cypress tree enthusiast, it was extremely fulfilling to see these trees in their most natural habitat. Sturdy shoes you don’t care about: Your shoes will get filled and covered with mud and water. If they were white, they won’t be anymore. Trekking Poles: The uneven ground means you will be sinking in and guessing where to put your foot next. You will need some extra support on this trail. 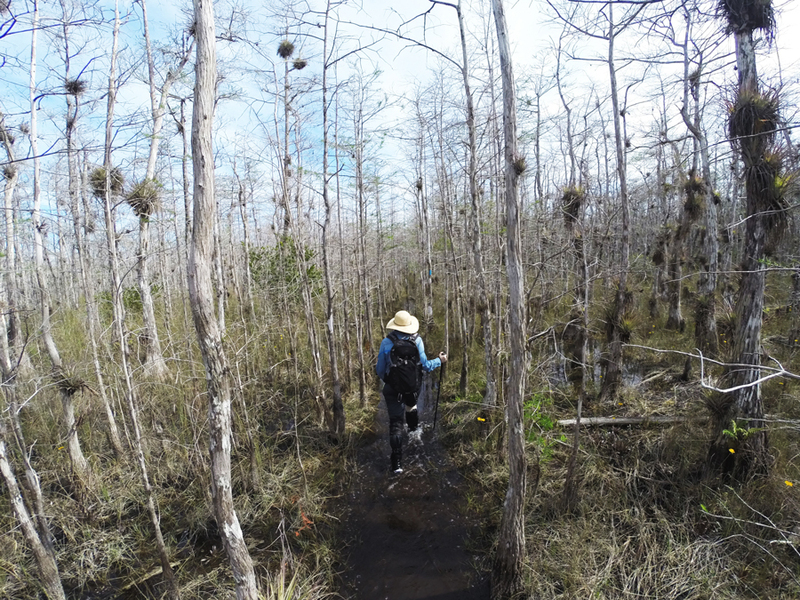 A hat/sunscreen: You are very exposed on this trail and the water adds a reflective element. Protection is key. 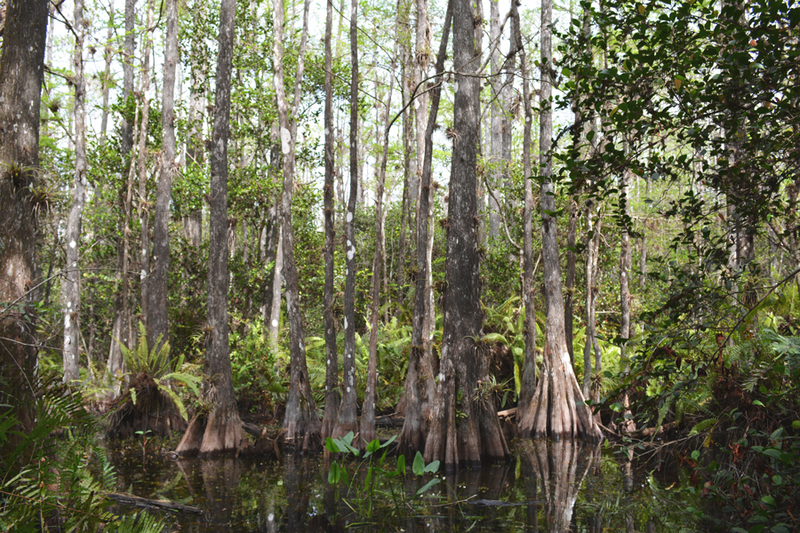 Pants: As you hike you will sink into the water and once you are on higher ground the vegetation is dense. To avoid any potentially dangers cuts, keep your legs covered. 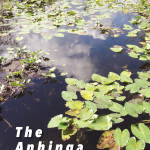 Bug Spray: It is a swamp, there will be mosquitos. 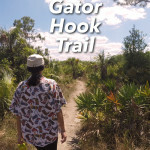 3 Comments on "Hike to the Big Trees – A Florida Trail"
I think I’m going to do this on Feb 4th!!! What time of day did you start the hike and what time did you finish? I’m trying to figure out how many hours it takes and whether I can be back for something at 6:00pm. We started the hike around 8am and finished around 2pm. 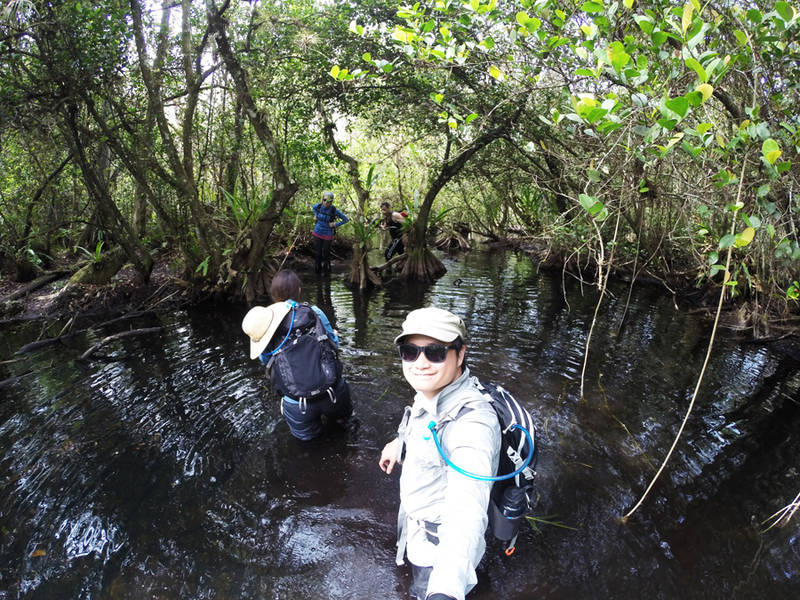 When we went the trail was relatively flooded so that increased the difficulty and how quickly we were able to hike. 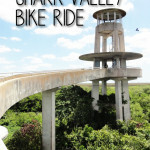 If you hike the trail during the dry season, I am sure you can get it done even quicker.